New Zealand’s diet was lacking in calcium, and kids were breaking bones because of it. Here’s how a dairy brand used x-ray stickers to offer parents and kids a window on the issue. Two-thirds of Kiwi kids don’t have enough calcium in their diets. But it’s almost impossible to engage with both them and their parents in a meaningful way in order to convince them to drink more milk. In 2016 Anchor launched its new brand platform, ‘Go Strong’. The positioning was cemented in the belief that the good nutrition that dairy offers can strengthen people from the inside out. And when people feel strong both physically and emotionally, they have the courage to give anything a go. But the problem was, Go Strong was a difficult concept to make relevant to children. Which is a shame, considering the numbers of calcium deficient New Zealand children and the fact that calcium is a vital mineral in the development of bone structure. As part of a broader masterbrand campaign launch, this activity had an important part to play, encouraging Kiwis to participate with the brand and helping them understand the new positioning – the launch of ‘Go Strong’, a new platform encouraging New Zealanders to champion the bravery to give it a go. We needed nationwide brand activity that demonstrated this positioning and had an effect on people in their communities, helping to substantiate the wider campaign launch comms. According to research from the ‘Food and Nutrition Guidelines for Healthy Children and Young People: a Background Paper’ Ministry of Health, 2012’, around two-thirds of Kiwi children aren’t consuming enough calcium, and every year 10,000 kids in New Zealand break their arms. The objective was to educate parents and their children about the nutritional benefits of milk, and keep Anchor top of mind. The brief target was parents with kids, we then refined that to parents with children aged three to 12. In New Zealand, the land of milk and honey, milk is something of a commodity. There’s a growing perception that all milk, regardless of the brand, comes from the same source and that the difference between one brand and another is non-existent – that it’s just ‘marketing’. This makes a conversation about value or attempting to charge an actual price premium rather difficult with our savvy customers. Fortunately, Anchor’s milk isn’t all just regular milk; there are enriched variants with very tangible benefits (such as Protein+ and Calci+). It was our task, therefore, to bring this point of differentiation to life. We needed to find a way to make the ‘Go Strong’ message relevant to children, and differentiated enough so that people would buy Anchor. 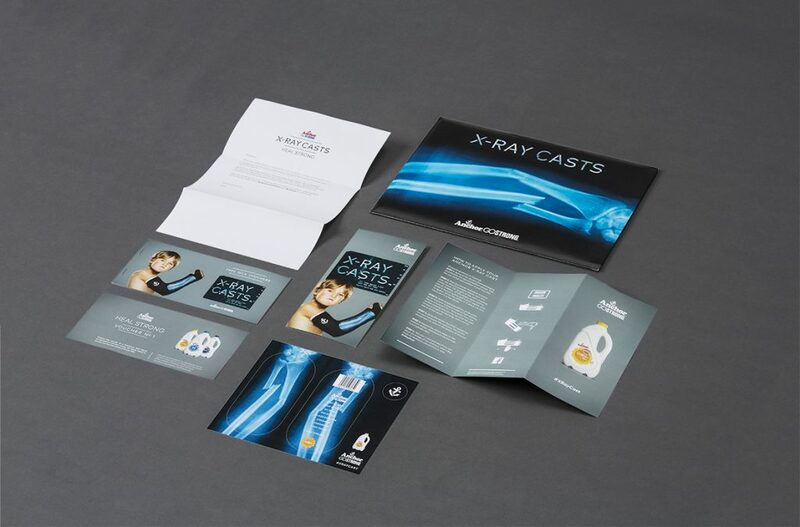 But rather than just create an ad that educated kids and their parents alike about the importance of calcium in the development of strong bones, we understood the moment in a kid’s life when this truth would truly become the most salient: the moment a child presents in an emergency room with a broken bone. It felt like kids were a segment of the population that – more than anyone – would not only see the value of strong bones, but also desperately needed them. But we needed an idea that would resonate with parents and their kids directly. Something new and interesting that would engage them with Anchor’s new positioning while also educating them about the importance of bone health and calcium. X-Ray Casts was developed as a true expression of what ‘Go Strong’ means for children. 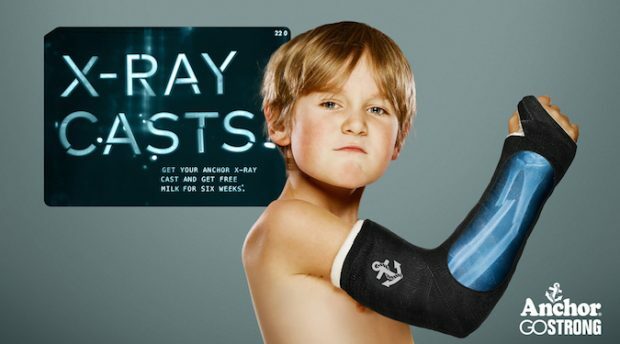 X-Ray Casts is an interactive content campaign for kids. 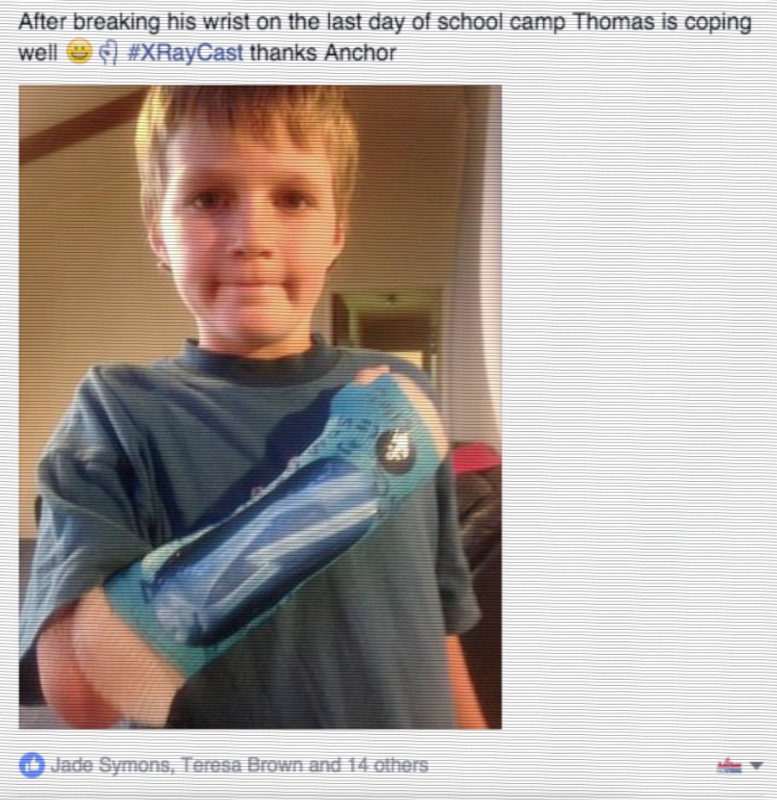 If a child breaks a bone, they can receive a special X-ray cast showing their own break and free calcium-rich Anchor milk for the time it takes to heal. In a media partnership with hospitals and emergency rooms across the country, we created posters, leaflets and digital screens that spoke directly to the audience, offering help precisely when they needed it. Patients uploaded their X-rays to our website. We then created bespoke vinyl stickers of their actual break and posted a pack out to them within 24 hours. 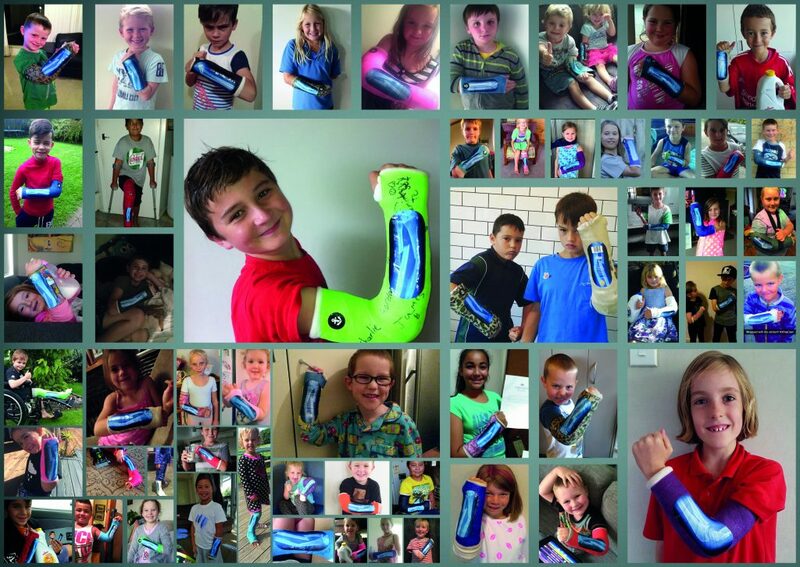 The pack contained a super tough heat-shrink sticker that showed their actual X-ray and had a barcode that could be scanned at supermarkets, giving them free Anchor Calci+ milk throughout their entire healing process – we turned the plaster casts of the kids of New Zealand into highly shareable social content, all of which reinforced our core brand message of the nutritional power of dairy. 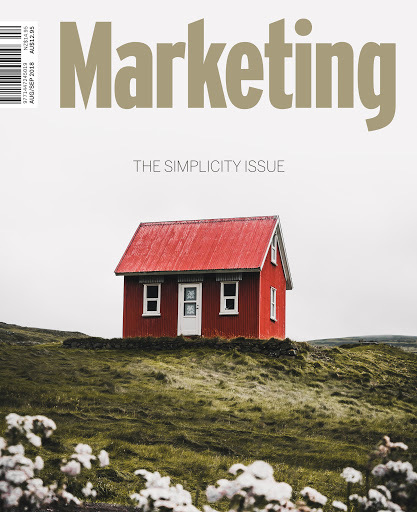 at 3% engagement, the launch post was twice as engaging as the FMCG industry average (1.52%). The uptake, ongoing conversation and brand engagement has meant this has been hugely successful. The cast became a unique type of branded content that allows us to reach audiences well beyond our media, if every child showed their cast to classmates, we’d see this halo effect expose another 19,277 people to the campaign on any one day. We’re successfully affecting behaviour and educating our local communities, with genuine product and consumer truths front and centre.